Table top display signs can be put on tables, counter areas, at a front desk, waiting area or private rooms. 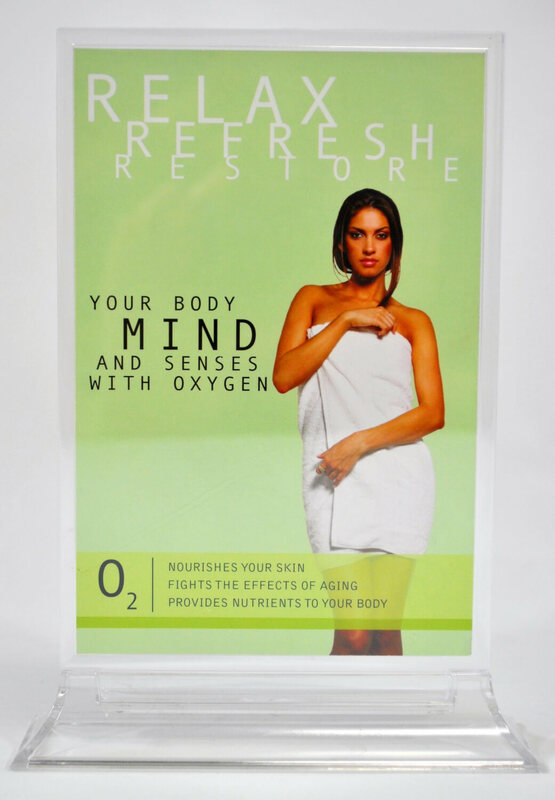 They can be put anywhere you would like to market the oxygen bar. Signs have full color graphics and are in a 4″x6″ plexiglas stand.